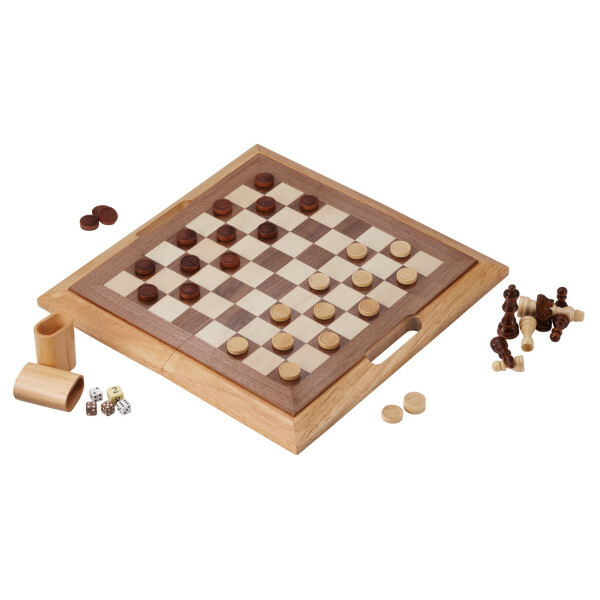 Your favorite classic board games are now available in one convenient package with the Mainstreet Classics 3-in-1 Dutchman Game Combo Set! This comprehensive package is an all-in-one place for all the pieces that come included. 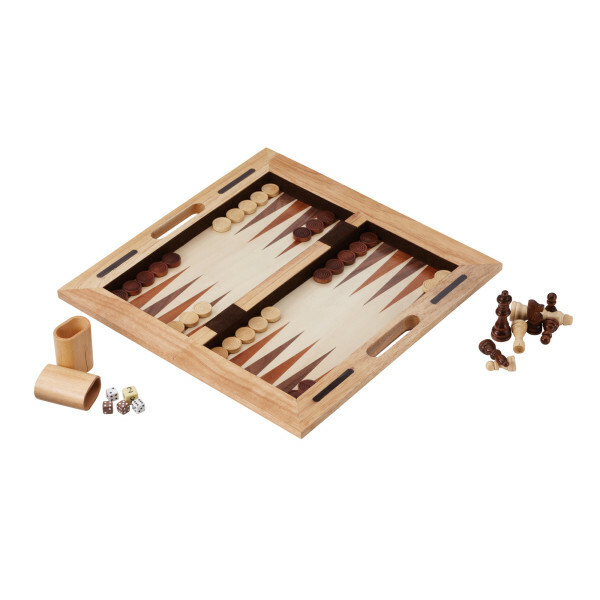 The Dutchman contains three of your favorite classic board games in one place: chess, checkers, and backgammon. 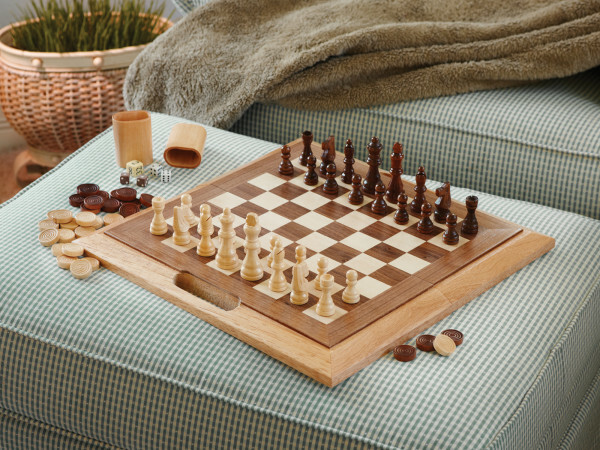 This all-in-one combo starts with the two tone finish of the wooden pieces and board: a lighter finish to highlight the natural beauty and a darker, more rustic finish. It’s a sleek design that will look great alongside the rest of your collection. 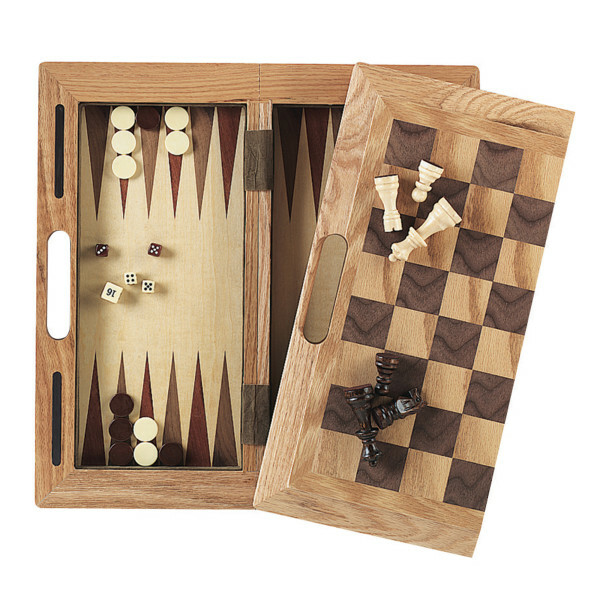 The board on one side is used for chess and checkers, with backgammon on the reverse. 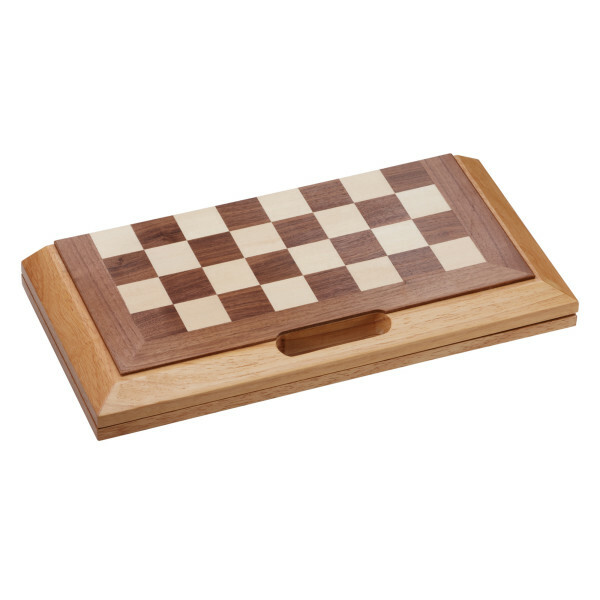 Once packed away, the Dutchman is highly portable, so you can take your favorite games on the go! Speaking of pieces, the Dutchman has got them all. 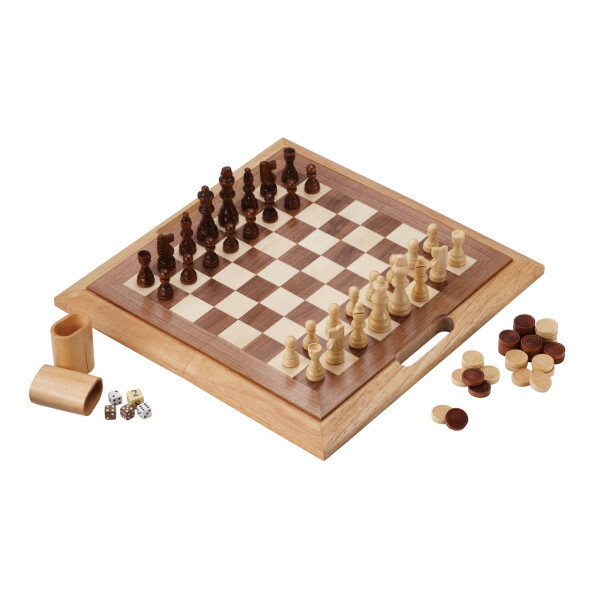 Included in this set are: a full set of chess pieces, chips for checkers and backgammon, two sets of dice, a doubling cube, two wooden dice cups in the natural finish, and playing instructions for each game.